The colourful Picture Arrowwords are just like regular arrowwords except many of the clues are pictures to brighten up the solving experience! Each month we throw in a few variants, such as Say What You See and Picture Code - which features some words of wisdom from a celebrity face. 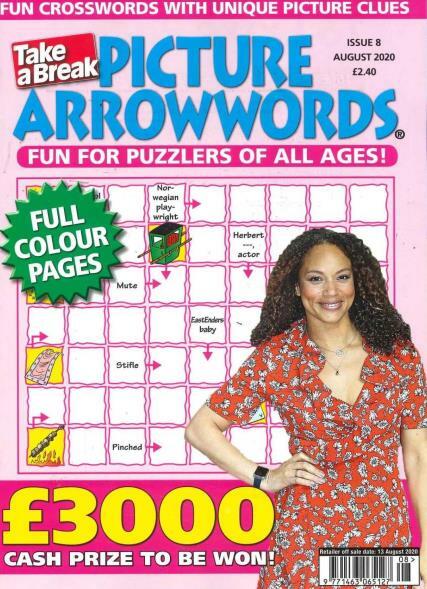 There’s not only a £5000 prize arrowword, but also another competition giving readers the chance to win anything from mini breaks for two, hi-tech gadgets or even handy kitchen appliances - pick up your copy today, get solving and, perhaps, get winning too!